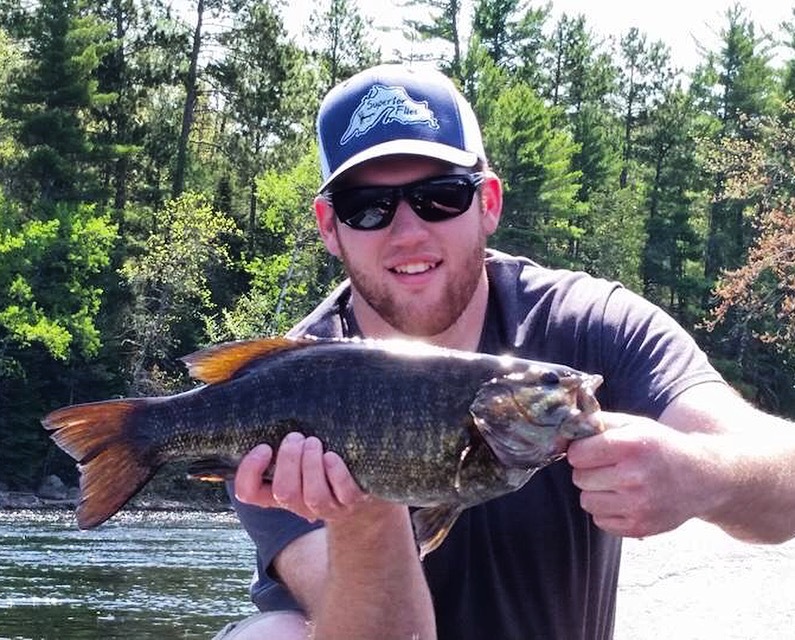 Located in the village of Baraga in the beautiful Upper Peninsula of Michigan, Superior Flies is committed to providing high-quality flies, branded apparel, and other fly tying and fishing goods to it's valued customers. Meeting customer expectations is a primary goal as customer satisfaction is most important. With a variety of products to choose from, you're likely to be satisfied with our business. Browse around the website and if you have any comments or questions or would like to place a custom/large quantity order, please feel free to contact Brandon here. My name is Brandon Scroggs and I am the Owner/Sole Member of Superior Flies, LLC. I hand-tie all of the flies sold from Superior Flies, right at home. I got into fly fishing at the age of 13 when my grandpa handed down to me an old Sears fiberglass fly rod. After learning a little on my own for the first couple years, I took a fly fishing class in Colorado where I was able to improve my knowledge of fly fishing, entomology, and fish habitat, as well as improve my fishing and casting techniques. From that point on, I was hooked! I started tying flies for the same reasons I feel a lot of other fly fisherman learn to tie flies. The most important reason being that there is no greater thrill than catching a fish on a fly that one ties themselves. After tying for a few years, I began selling my flies to friends with the promise that I would not rip them off, as I guaranteed the performance and quality of my flies and offered them at fair and competitive prices. As much as I enjoyed catching fish on my own flies, I also enjoyed watching friends catch fish on them. This was the driving force in my founding of Superior Flies, LLC.